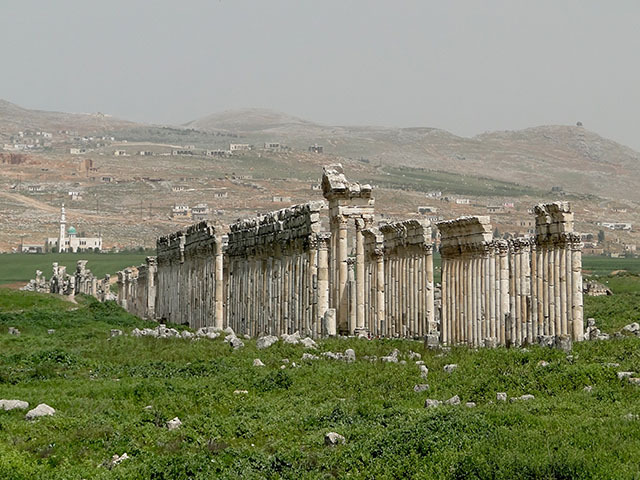 Apamea is the site of a treasure city and stud-depot of the Seleucid kings. 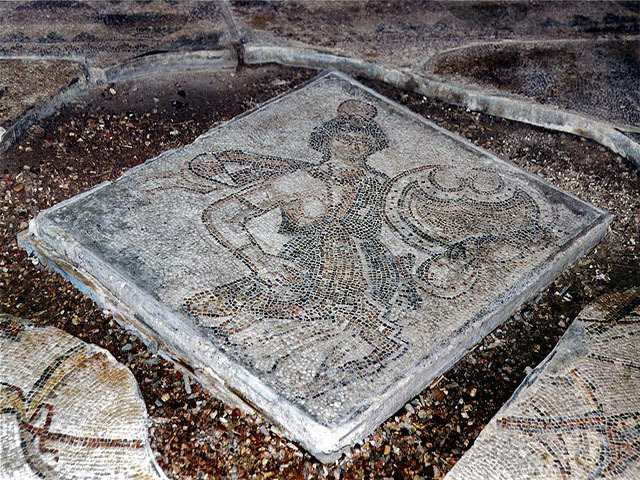 It was the capital of Apamene, became the capital and Metropolitan Archbishopric of Late Roman province Syria Secunda and has become a multiple Catholic titular see. 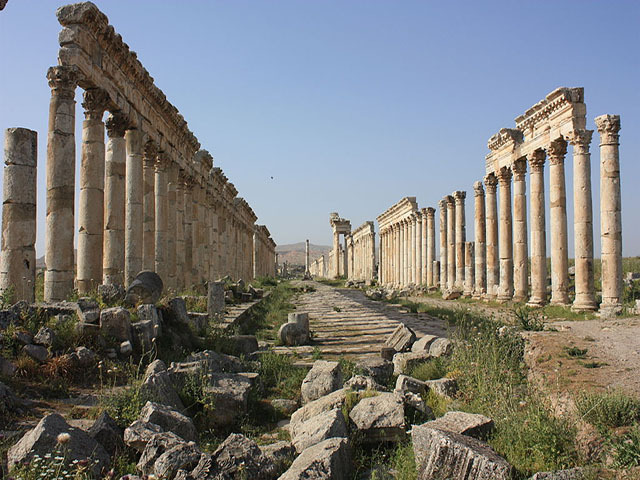 The site contains the remains of the Roman Theatre at Apamea, one of the largest surviving theatres of the Roman Empire with an estimated seating capacity in excess of 20,000, as well as the remains of the Great Colonnade at Apamea, which ran for nearly 2 kilometres, making it among the longest and most famous in the Roman world.